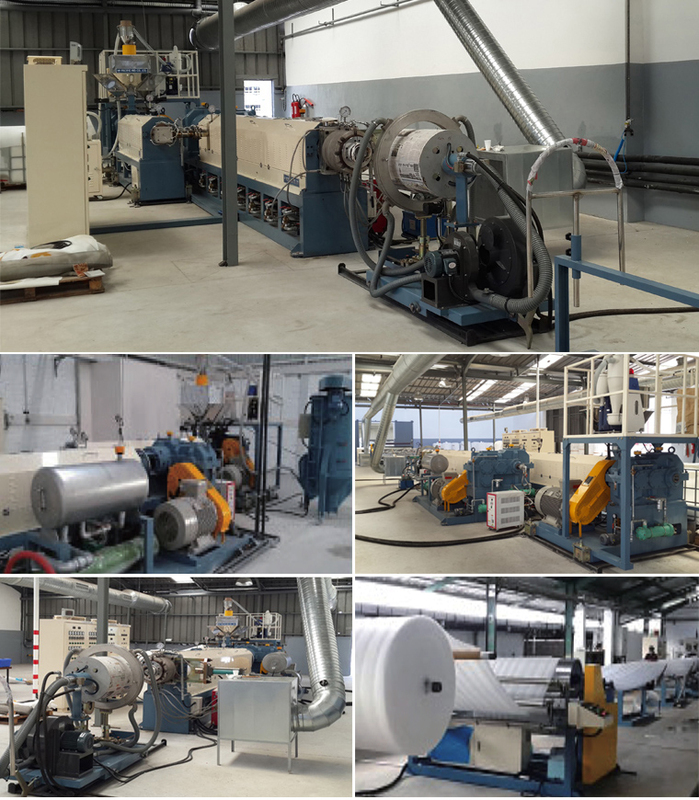 Non-Crosslinked PE Foam Sheet Extrusion Line, equipped with a single extruder, unique screw and economical extruding system, produces extruded expanded cellular polyethylene foam sheet of innumerable closed cell in continuous roll for cushioning, packaging, and insulation materials. Our single extruder, an integral component of the NPE Foam Sheet Extrusion Line enables an optimal foaming and maximum output. Auto temp. control via PID temp, control or PLC controlled touch screen on customers request. Hydraulic screen change system enables a continual production even during changing screens. Our Three-Way Special Cooling System inside of dies and inside of screw guarantees low density foam with noticeably short aging time enabling direct lamination with film. This system is applicable to both single extruder and tandem extruder.